Where does Fido go when he dies? "What happens to animals when they die?" author Ptolemy Tompkins wonders in his new book. "I looked into that dog's eyes and knew there was something more," says Tompkins, a writer for the Christian magazine Guideposts. At the age of 12, Tompkins named that dog - a hungry mutt with a “copper-colored spot on her shoulder” - Penny. Decades later, in his latest book, "The Divine Life of Animals," he briefly describes how he adopted Penny during a family vacation to Mexico. This intuition leads the author on a far-reaching journey, exploring various faiths and philosophies, and searching for answers to explain the possibilities of our pets’ afterlife. During his time writing for Guideposts, Tompkins told CNN, he received numerous letters from animal lovers who had asked their parish ministers similar questions after the death of a pet and received less-than-satisfying responses. Tompkins' book is written for animal lovers who are dissatisfied by this response - and who are willing to take a leap of faith along with Tompkins as he searches for clues to animals’ divinity, piecing together spiritual arguments from primitive cultures as well as Christianity. “If you look a little deeper in the Bible, you can find evidence that writers of the Bible actually did have a deeper respect for the spirituality of animal creation than appears to be on the surface,” Tompkins says. 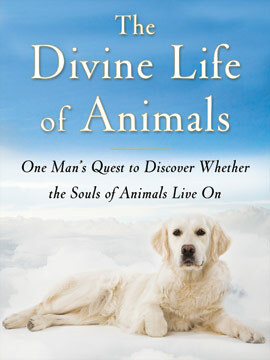 “There is a spiritual reality to animals,” the author explains. In researching his book, which he described as “one man’s quest to discover whether the souls of animals live on,” Tompkins looks to Christian theories of the concept of the Resurrection. This holiday season, as you’re checking off your gift list, Tompkins’ book may be a good option for pet lovers in your life who are ready to explore whether their favorite fluffy companion may also have a spiritual side. In the new book "In Heaven Kittens Play" by author and animal rescue expert Nick Sacco shows us that the loss of a pet through death is not the end but only the beginning. A special garden cared for by a loving angel awaits those creatures who pass over. There they play in peace and without fear, forever loved by this special being. One of the editors noted that it was a good way for both kids and adults to understand and cope with the death of an animal, or even a person. It's a wonderful, inspiring book that reveals to its readers the mystery of where our pets go when they die. As an expert with years of animal rescue experience he explains to the reader a wonderful after life of angelic beings who await all of our beloved pets. It's a great book, just google his name and check out his cool website. Grow up. We are all animals, we die and bacteria finish off our corpse. There is no soul, there is no god there is no heaven, you become fertilizer. GROW UP and stop believing in magic you buffoons. Heh, religious people are funny. The more we learn about science, the more we understand that humans and animals are just creatures on this planet. There is no fairytale god, only evolution. How could I possibly get a hold of either the photographer or the author of this article? 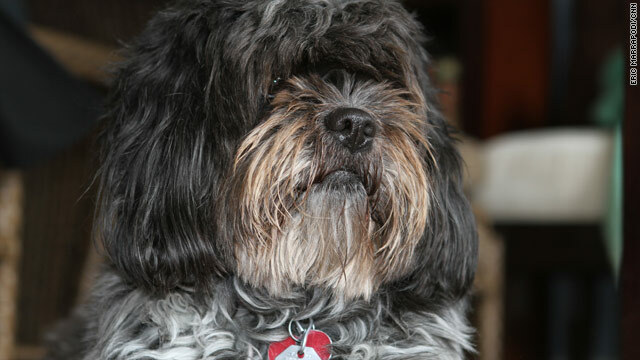 I am 99.95% sure that the picture of the yorky poodle mix with shihtzu dog (mutt) is my lost dog. If anyone can help me in anyway that would be greatly appreciated! She has a chip identifying her proper owner in her shoulder. It's been about 2 1/2 years since we've seen her and we couldnt mistake Sasha for the world. My childhood dog is probably in heaven. She is a Jewish dog. I was so proud of her when we had her Bark Mitzvah. There are so many humans who won't go to heaven because of their doubt of God. Animals are God's creation and he saved them in the flood also so they will go to heaven. Those of us who haved loved them here on earth will have them with us to love in heaven. I've seen the doorway to heaven in the blue sky filled with rainbow light prior to a pet's death and I didn't know the Rainbow Bridge poem at the time. I hope these doubters and haters in the power of God would wake up to their follishness before it's too late for them. They think they are so important and so smart and they mock everything they don't understand. I know they will mock me also. They hate us who love the Lord Jesus and love all of God's creation. I love you atheist nutjobs, because you bring all Jews, Christians, and Muslims together for once. Oh, and if it makes you feel important, then enjoy your little online trolling episodes, because IRL you only represent about 10% of mankind. Cheers! Korean Puppy Chow, Yum, Yum!!! If there are dogs in heaven, is there dog poop to step in? Do little dogs bark and whine early in the morning to wake folks up next door? Do big dogs jump on top of people on the sofa while their owners think their "puppy" is so cute? This is all dog stuff that makes dogs happy. It wouldn't be heaven for them if they couldn't poop wherever they please, whine and bark whenever they please, and jump on top of whomever they please. Just some dog food for thought. I'll tell you a good book to put on your wish list this year: "The God Delusion" by Richard Dawkins. Ps. I can't imagine how bogus Thomkins' book is. You could search the bible harder to manipulate it into anything you please. Come on now. Interesting thought, nonetheless.